Rev. 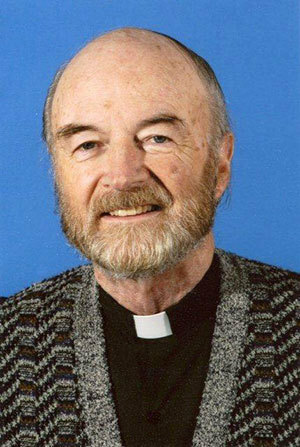 John S. Dunne, C.S.C., John A. O’Brien Professor of Theology at the University of Notre Dame, died early Monday (Nov. 11) at Holy Cross House after a long struggle with complications of a head injury sustained in July. He was 83. Father Dunne returned to Notre Dame in 1957 to become one of its most popular, even beloved, teachers. In addition to teaching more Notre Dame students than any other person in the University’s history, he wrote some 20 influential works on theology and the spiritual life, including “The City of the Gods,” “A Search for God in Time and Memory” and “Way of All the Earth.” His most recent book, “Eternal Consciousness,” received a first-place award from the Catholic Press Association. Visitation will be from 3:30 to 7 p.m. Thursday (Nov. 14) in the Lady Chapel of the Basilica of the Sacred Heart, where a wake service will be held at 7:30 p.m. A funeral Mass will be celebrated at 3:30 p.m. Friday (Nov. 15) in the Basilica and immediately followed by burial in the Holy Cross community cemetery. We were “shaking down the thunder from the sky” as the Ghetto (Ron Droste, Doug Heisler, Tom Jansen,Jim McCoy,Mike Melewicz, Phil Morrow, Paul Rittman, Paul Robillard, Tom Theis and Ralph White) re-convened in Portland, Oregon on USC weekend October 18-20. The truths and un-truths from their days in four rooms above the arch in Lyons Hall were recounted with great drama and emotion. A superb time was had by all.